The DH89 Rapide was designed to replace the earlier DH84 Dragon twin-engined ‘mini-airliner’. Although the general arrangement of the two aircraft was similar the DH89 was of a much more advanced design from the structural, power and aerodynamic points of view. The aircraft saw extensive wartime use as a communications aircraft and also for training aircrew in the use of airborne wireless telegraphy. At the end of the war there were many aircraft available for aspiring airlines to use on short routes. British European Airways used the Rapide on some of its services, notably to the Channel Islands and on the Scottish Island routes. 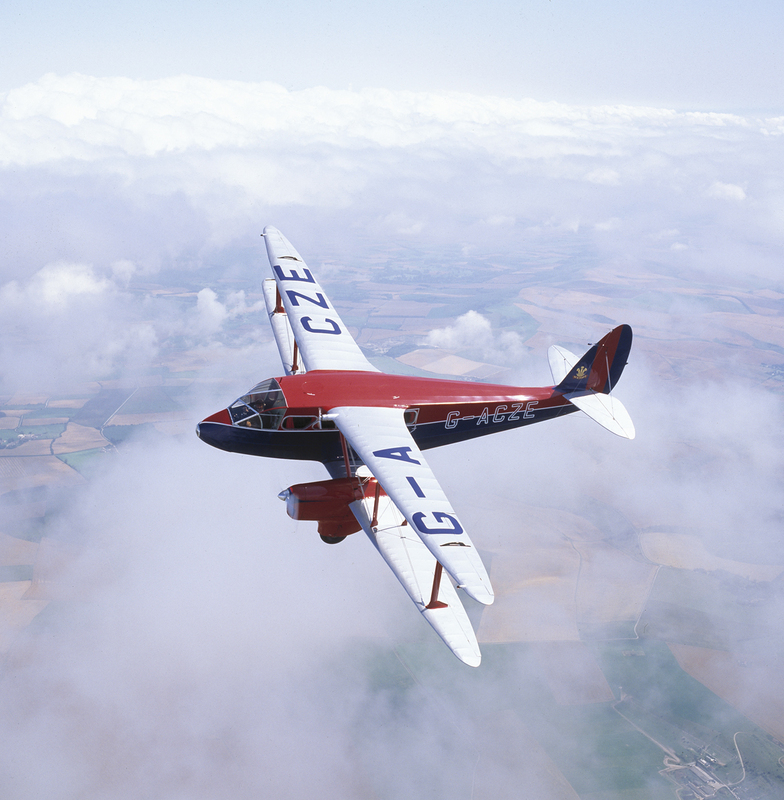 This particular aircraft was restored and painted to represent the aircraft used by the ‘King’s Flight’ in the 1930s and is seen here flying above a cloudscape in the south of England.